This General American Health Insurance Company delves into former St. Louis, Missouri-based General American Mutual Holding Company, General American Life, and GenAmerica Financial. The company was purchased by MetLife when liquidity demands drove the company to find a well-heeled suitor. MetLife purchased General American Life Insurance St. Louis headquarters (a landmark designed by famous architect, Philip Johnson). If you still own General American Health Insurance policies, take a moment to compare your health insurance rates with current health insurance quotes—simply provide your zip code now! Then continue reading about the former General American Mutual Holding Company to learn about the company’s products and services, acquisition, agents, and claims. Before the acquisition in 1999, MetLife’s independent representative network also sold General American products and services. The General American brand was absorbed by the MetLife name after the company underwent the process of demutualization. General American Mutual and its operating subsidiaries were acquired by MetLife, the largest life insurance company in the United States. MetLife offers a variety of “non-medical” health insurance plans through the company’s Insurance Products unit, including illness, disability, and dental policies, to employers and individuals. The company sells group and life insurance products, retirement plans and products (such as annuities) through the Retirement Products division. The Metropolitan Property & Casualty Insurance division (MPC) provides property & casualty insurance, such as auto and homeowner insurance policies. MetLife is one of the largest insurance companies in the United States and throughout the world. The company ranks 51st in the Fortune 500, 46th in the Fortune 1000, and is part of the Standard & Poor’s 500 Index. The company ranks number 204 in the Financial Times of London’s FT Global 500 Index. MetLife acquired the General American Mutual Holding Company through a financial process called demutualization. The General American Mutual Holding Company was a mutual insurance company, and was owned by its policyholders. MetLife is a publicly held company with outstanding debt and equity securities (bonds and stocks). Policyholders of General American Mutual Holding Company were therefore part of a financial conversion that was approved by the company along with state and federal government insurance regulators. Mutual insurance company policy owners, and their heirs and beneficiaries, may continue to receive benefits from an insurance policy (such as insurance policies written by the operating companies of the General American Mutual Holding Company) when these are due. The policyholders also receive financial compensation, such as cash, securities, or credits, when the company undergoes the demutualization process necessary for a publicly traded insurance company to acquire its assets. In 1999, the Missouri Department of Insurance placed General American Life Insurance Company into an administrative supervisory plan. The company’s lack of liquidity occurred when $5 billion dollars was demanded by 37 plus institutional customers. The institutions held funding agreements of the company. MetLife was eventually assisted out of its liquidity debacle by MetLife. MetLife purchased the company for about $1.2 billion. This money was deposited into a bank account to compensate the policyholders (including policyholder beneficiaries and heirs) of the General American Mutual Holding Company. Because of these factors, people who held policies written by General American may be entitled to receive benefits from the demutualization. Many people may not know they are entitled to receive money from a former mutual insurance company, such as General American Mutual Holding Company. Former policyholders should consult an advisor about their individual circumstances and next steps. 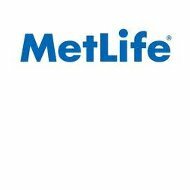 MetLife maintains an extensive national network of independent insurance agents and brokers, agency distribution channels, broker-dealer affiliates, and proprietary sales and marketing employees. The company also directly markets health insurance products and services to consumers and employers through the Internet, mailings, and statement stuffers. Some affinity organizations and associations market the company’s insurance programs to their members. Health insurance policyholders may download forms or file a claim through MetLife’s “MyBenefits” portal on the company’s website. Other insurance policyholders (such as life insurance) may file a claim by calling +1-800-MET-LIFE toll-free (+1-800-638-5433) between the hours of 9:00 a.m. to 6:00 p.m. Monday through Friday Eastern Standard Time. Policyholders may elect to file a claim through a MetLife sales agent. Don’t wait another minute to learn how much you can save on health insurance rates by requesting complimentary health insurance quotes by providing your zip code!